I have been trying to write this post ever since we got home but it has been difficult for me to translate what I’m actually feeling into a blog post. 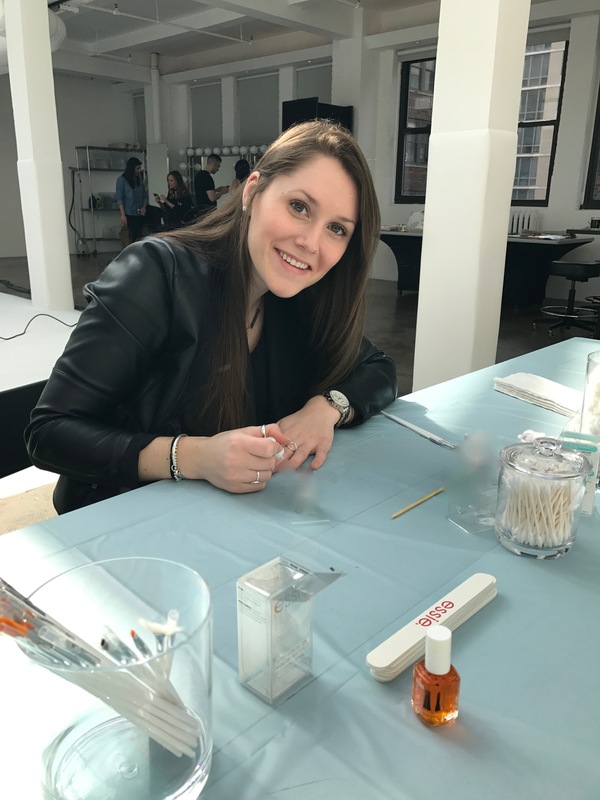 I’m going to break this post up from the beginning of my journey all the way until the NYC trip in order to give you all a bit of background on myself and on what the essie club collab trip to NYC entailed. I was recently at Kohl’s in search of the new essie Resort Collection, however I happened to stumble upon the Wild Nudes Collection upon check out. Before seeing these beauties in person I had not even heard about this collection so I was very excited and confused about this display of new polishes. I took a second to do some research while at the store and found out that this collection consists of nine polishes and is inspired by essie wanting to put a modern twist on classic nudes! I ended up getting six out of the nine polishes so keep reading below to see which ones caught my eye! From left to right: ‘Skinny Dip’, ‘Bare With Me’, Without A Stitch’, ‘Exposed’, ‘Winning Streak’, and ‘Mooning’.